Over the past 25 years Classic Construction Services has cultivated an outstanding reputation. The majority of our business is word of mouth and referral based, which is a testimony to our experience, consistency, attention to detail and quality of workmanship. 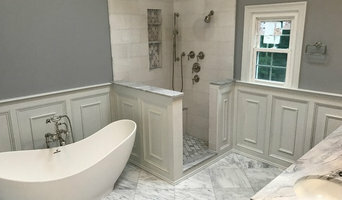 We specialize in additions, basements, bathrooms, carpentry, ceiling, decks, driveways, gutters, kitchens, counter top refinishing and installation, granite and marble cleaning and polishing, masonry, painting, porches, remodeling, restoration work, roofing, home repairs, stairs and tiling. With over 45 years experience we continuously strive to be the leading provider of the highest level of quality service to our clients. We believe in our work as being a profession, not just a business. The collective experience and diverse skills of our employees will provide our clients with a substantial advantage in getting the job done. Competitive has been in business for a long time because of our commitment to clients and quality craftsmanship we offer to every home and business in which we work. It is our goal to please each client we come in contact with, whether it's a free consultation or a full build out of a property, Competitive constantly seeks improvement and perfection of services by living up to the standards of each contractual obligation and going beyond our responsibilities whenever the opportunity to do so presents itself. We recognize the value of clear communication with our clients. We welcome the opportunity to collaborate with the customer in any aspect of the project upon which you would like to imprint your personal touch! Established in 1947, Affordable Home Services specializes in commercial and residential exterior construction services for the NJ area. Affordable Home Services has completed thousands projects in that time and has been recognized by our customers as the good guys in the business. Affordable Home Services is a family-owned business and has dedicated employees and is a fully licensed, bonded, and insured contractor. Our mission is to determine and implement the right solution for each residential and commercial customer. We strive to provide fast and friendly construction services with the highest level of craftsmanship available, whether it is a simple repair or a complex re-roofing or siding operation. Our employees are skilled, hardworking, friendly professionals. They love what they do. And, they strive for ever-increasing customer satisfaction. Our onsite foremen are well experienced at dealing with multiple projects and people – to ensure the success of the job and the satisfaction of the customer. Jobs are monitored and visited by our owners and roofing and siding supervisors to ensure that quality work is performed and that proper safety precautions are taken. There is a separate service department staffed by skilled technicians for repairs and small jobs. Customers are given a week that their job will be completed within. Whether your job is large or small, Affordable Home Services will scale the crew to match your project and will complete all work in the agreed upon timeframe. Our onsite foremen are well experienced at dealing with multiple projects and people – to ensure the success of the job and the satisfaction of the customer. Our work is guaranteed by the Federle Family! *Authorized Mendota Hearth Dealer* Our long-established company combines years of experience in the design and construction trades with today's modern demands. Our motivated team will do all it takes to make sure you are completely satisfied. George has over 40 years of educational and hands on experience in design and construction. He has served over 3,000 customers throughout New Jersey. Many custom designed projects and highly satisfied customers are among his achievements. Our Technicians are highly trained and periodically updated by participating manufacturers' training programs. They have many years of on-the-job experience with a variety of tasks related to construction, installation and repair/maintenance of the equipment we carry. By the numerous customer testimonies, they are neat, polite, trustworthy and courteous individuals whose primary goal is the satisfaction of our clients. 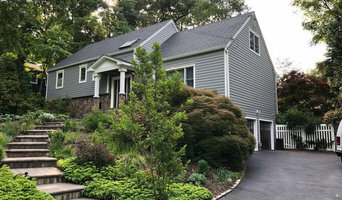 We specialize in the installation of New Roofing, Siding, Gutters & Windows as well as removal and replacement of all types of Roofing and Siding materials. We take pride in our workmanship, fair business practice, superior customer service, and unsurpassed safety records. A product is only good as the company behind it. That's why we only install materials from the leading U.S. manufacturers with a solid reputation for quality, reliability, and technical innovation. Inspiring your home improvement journey. We make your house feel like a home that will last for generations! #generationaldesigns. New Homes from $225,000 to 5 Million. Whole Home Renovations $50,000 to $750,000. Kitchens; $10,000 to $75,000, Finished Basements; $25,000 to $250,000. Room Additions $15,000 to $275,000. These are estimates only based on experience and your actual costs may vary depending on the scope of your project. Contact us for a consultation about your project. Jerry Ruperto Home Improvement is owned and operated by Jerry Ruperto. He is meticulous about his work and strives to satisfy each and every customer. Each customer is given personal attention and assured that we are always available to answer any questions you may have. You will have direct contact with the owner from start to finish. Jerry Ruperto is on the job site, working alongside his crew, making certain the job is completed to perfection. Our consistent repeat and referral business speaks volumes about the kind of business we operate. We have established an unwavering commitment to customer service and satisfaction by providing top quality workmanship. We keep informed about the latest products and materials on the market to offer the best products we can to our customers. Our work extends from interior to exterior to additions and much more. We are here to help you create innovative designs, install, and service all of your home improvement needs. 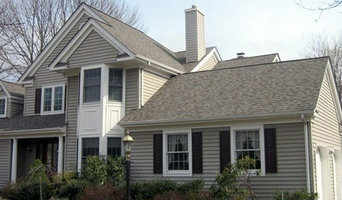 We are fully licensed and insured to service all of Long Island. One call does it all! We guarantee you will be happy you made the right choice with Jerry Ruperto Home Improvement. Top of the Line Contracting is dedicated to make your building and remodeling experience easy and pleasant. As a family-run business, we are committed to providing our clientele with more personalized services that make your bottom line our top priority. We proudly serve all of Northern New Jersey since 1994. We specialize in all phases of construction and we are licensed and fully insured. All of our work is owner supervised and inspected. We are committed to our clients’ satisfaction and we hope to create a relationship that lasts beyond the project so that we become your go-to contractor for all your construction needs. 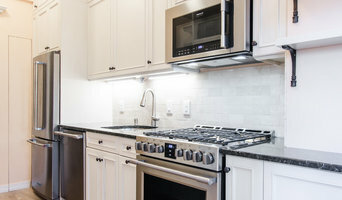 We are a service-orientated company geared towards individual customer needs and requirements and are dedicated to producing the highest quality craftsmanship, while maintaining the most up to date construction techniques. We realize that your home is your most important investment, and we work accordingly to both enhance and protect that investment. Our staff and tradesmen take great pride in every project and strive for total satisfaction. From concept to the finish project, we maintain a relationship with home owners, architects, designers and sub-contractors to guarantee a successful, smoothly run project.